Using tea tree oil for acne has been more effective for me than any other natural remedy I've tried. It's even effective against cystic acne, those underground monster zits that hurt so bad. As someone who used to suffer from pretty terrible acne, I know how frustrating it can be to try lots of different treatments only to find that the acne comes right back after a couple weeks. I found this to be true both with conventional and natural therapies. However, this did not occur when I started using essential oils for skin care. And since I'm obviously always in favor of using natural remedies in place of the harsh chemical stuff, that was super exciting for me. Mix 1 drop with your regular moisturizer. Avoid your eyes! 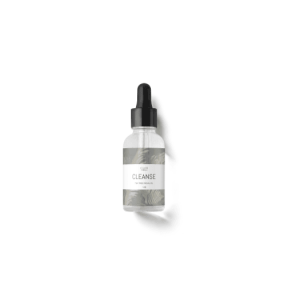 Add 1 drop to your regular cleanser. Again, be careful not to get it in your eyes! Mix 1/2 cup of sugar, 1/4 cup of sesame or olive oil, 1 tablespoon of honey and 10 drops of tea tree oil for a acne-fighting scrub. This is good for run of the mill breakouts, but could be a little too harsh for cystic acne. Tea tree oil and honey are even natural preservatives so you can keep this in a jar right in your medicine cabinet. There is no need to press the scrub into your skin as you use it – you should be very gentle and you will still get the benefits of exfoliation. For acne on your body, you can add tea tree oil to your bath. I like to add essential oils to epsom salts or baking soda before pouring in the bath, since essential oils are not soluble in water and need a carrier. Add 5 drops of tea tree oil to 1/4 cup of plain yogurt and apply as a mask. Rinse with cool water after 15-20 minutes. Make an acne-fighting facial serum (learn how here). You can also buy the one I make here. Tea tree oil (also called Melaleuca oil) has powerful antibacterial (and even antifungal and antiviral!) properties and is effective against MRSA, which is a strain of bacteria that has developed resistance to some man-made antibiotics. So it's a natural product that can fight the spread of harmful germs. Its properties also make it useful in fighting acne. My skin is really fussy, but tea tree oil never fails to whip it into shape when I break out. What Brand of Tea Tree Oil Should I Use? I especially love that it's a very affordable option for naturally clearing up my skin. A little bottle of tea tree oil only costs a few dollars and lasts quite a long time, since you don't use very much at all at a time. I've tried several brands of essential oils and find that they are definitely one of those things where you (usually) get what you pay for. Essential oil quality matters big time and they are not all created equally. A lot of people will automatically go for the big name, top dollar brands doTERRA and Young Living. Those are fine, HOWEVER (and I'm sure I'm going to get some flack for this) they are, in my opinion, overpriced. When you can get the same results from a less expensive brand, and the product is pure, why wouldn't you? Aura Cacia – Love them! This is the most cost effective option, especially if you love using essential oils for many different purposes like me, and it's not as pricey as you'd think when you consider how much acne skincare stuff can cost sometimes. Plant Therapy – Available on Amazon, Plant Therapy is one of the most trusted essential oil brands by herbalists and aromatherapists. I haven't tried all of their oils, but I love their tea tree oil and the others I have used. It's best to dilute tea tree oil with a carrier oil before using it to treat rashes, cuts or acne. Additionally, sensitive skin or not, it is possible to overdose with external use. Tea tree oil should be used sparingly no matter what the application is. So, I hope you've found this info useful and that you'll be on your way to clear skin soon. I know how frustrating and embarrassing acne can be, which is why I wanted to make this post as informative as possible. If you have any questions at all, leave a comment below. I might have to buy this for my daughter! I’ve been wanting to get her off of Acne Free for months!!! I don’t like all the chemicals…thank you! Love it! Thanks for joining the hop, i’m sure it will get more “hoppin” within a few weeks 🙂 I have recently discovered tea tree oil. My son had a mystery rash last week on his face and tea tree oil cleared it right up! I love it! Tea tree oil has a nickname “Medicine chest in a bottle” & it is right on! I will have to keep this in mind! Thank you for sharing. I love tea tree oil!! Thankfully I don’t struggle with acne, but I do use it for so many things around the house! I have been using tea tree oil for years as a anti-bacterial agent for cleaning and hand sanitizing. I have never tried any cosmetic uses and I’m excited to try them out! Love all the uses there are for essential oils. I need to get me some tea tree oil! Just recently invested in a bunch of other EO’s, but didn’t get the tea tree! Tea tree oil has so many uses! I add it to vinegar to dissipate the smell when I’m clening. Hi Nabilah! I wouldn’t use that treatment since TTO can be harsh. Also you would want to stop if your skin gets irritated. I hope it helps!! Hey, my daughter 16 also has bad acne and we’ve tried all different sorts of store bought and home remedy treatments. And yes we’ve gotten results but never consistently…. Can u let me know how or if the rubbing ur face with straight tea oil once a day works for you? Thank you in advance! I don’t use essential oils “neat” or without a carrier oil. You can make a serum of 1 ounce of jojoba oil and 30 drops of Tea Tree Oil for a 5% dilution. Use it after cleansing. Thanks for the ‘ways to fight breakouts’ will definately try them,to see if it will solve my acne, fingers cross! Hey Selena, I know what you mean because I have the same issue! In my experience TTO is good for keeping them away, but not so much for getting rid of them. To get rid of them the only thing I’ve found is using one of those pore strip things… but I don’t know of any natural brands unfortunately. (If anyone does, please chime in!) And then you can use TTO in any of these ways (Especially number 4, the scrub) to keep them at bay. I hope this helps! Hi Kylie, Thanks for this helpful post! I’m stuggling with acne and would like to use TTO. Can you share what your daily morning and bedtime regimen? Hey Cheryl, great question! I will make a blog post out of this.. to be honest I’m doing a lot of product reviews right now so my skincare routine is a little all over the place. 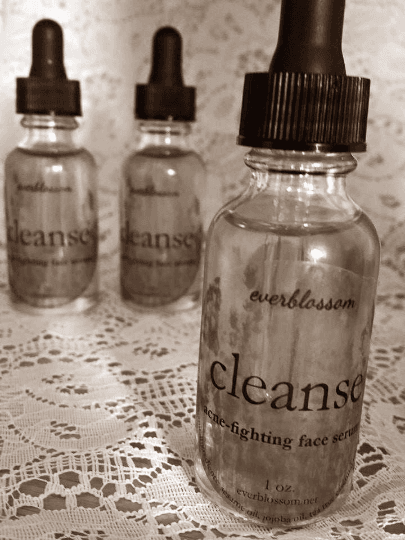 What I’m LOVING right now though is oil cleansing – I will write about this soon! interesting info! i have still acne even if i’m 24, 🙁 and tried expensive commercial cleansers and cream but still the same. i’m gonna try this! but i have one quick question, can i use olive oil with TTO instead of water? if possible, how many drops of TTO and olive oil ? is this to be use after washing the face? and could stay over night and wash it in the morning? Hey Nica, I think I answered your question on Facebook but I will post here too: Olive oil should be lovely for your skin as long as it is extra virgin (refined as little possible) and organic is preferable. What I would do is mix 1/2 teaspoon olive oil and 2-3 drops of TTO and use it as a serum after washing your face both in the morning and at night. You could even wear this under makeup if you use it. Please let me know how it goes! I hope it helps. How often should one use this TTO? I am not sure.. I’ve never tried it! If you give it a go, report back! how long does it take to heal moderate acne with tea tree oil? i have demodex mites, they say it helps heal or kill the bacteria on my cheeks. It usually works pretty quickly for me.. I notice a difference in about 3 days. this was very helpful.. i am suffering from acne and trying my best to get rid of it.. if use tea tree oil with olive oil on my face.. how many drops of tea tree oil shall i put in it? and also how will i wash it? just rinse it off with water? or wash it using a face wash? You can put a bit of olive oil (about the size of a dime or 1cm circle) in your palm and 1 drop of tea tree oil and use this as a facial serum. Good luck! Thank you for your post. Did you find that the TTO helped with acne scarring at all? Yes, but I’m not sure if it was the TTO or other oils that helped diminish scars – exfoliating helps too. For hormonal.acne, how do you use the castor oil, grapeseed, and tea tree oils mixutre? I am getting cystic acne really bad on my chin which is leaving ugly dark scaring….I need an oil regiment now. My skin was flawless until 21 and then got gradually more and more horrible- I pretty much reached the point where I refuse to be seen without make-up by anyone outside of my immediate family several years ago. At the beach, in the pool, etc. It’s been so awful and I’ve tried everything- Proactiv, expensive stuff from Sephora ($70 a bottle was worth it if the promises came true! buuut they didn’t). I finally bit the bullet and started oil cleansing last week… and holy sh*t. I use 1 part castor oil to 3 parts grapeseed oil, and put between 5 and 10 drops of tea tree in. For moisture, I just pour a little pure grapeseed into my palm with 1 drop of tea tree. My skin is now in that lovely stage of massive whiteheads coming to the surface, but it already looks ten times better than it did last week- less redness, very little inflammation, and while the whiteheads are gross, they are coming up and disappearing in a matter of two days – WAY less time than the hormonal cysts I’ve been getting for the past give years, and healing much better. So many people online have complained about the initial “detox” stage with the oil cleansing, but I’m just relieved to finally see stuff coming to the surface instead of just having these massive bumps that haunt me for weeks at a time! I had a bunch of congestion around my chin/jawline that I just could not for the life of me get out and that’s where the whiteheads are coming up, so I don’t even mind. So… long story short (too late)… OIL CLEANSING METHOD ALL THE WAY for hormonal acne. I’m loving my blend but I want to add a little lavender too for the wound-healing properties. Seriously though. Everything I’ve read, and now my personal experience, is that the OCM works wonders for people with the hard-to-treat hormonal, cystic acne. Love it. Thanks for sharing about the other ways you use tea tree- i wanted to use it undiluted as a spot treatment but have heard mixed messages on using it neat. I’m going to use this on my remaining spots tonight and see how it goes! Love it! I hope the transition period doesn’t last too long for you and that you have clear skin in no time. I really love OCM too – amazing how the most gentle way of cleansing is also so effective against acne. Can tea tree oil be left on face overnight? Yes, but I like to use it in the morning since it is an energizing oil. The aromatherapy properties might keep you up. AND ALSO….CAN I MAKE A PASTE OF TTO, HONEY AND YOUGURT N APPLY IT ON MY FACE FOR 15-20 MINS IN THE MORNING? I have pimples on my face, have bought TTO, could you tell me how to use it please. hello~! thanks for your useful posting. i have five acnes on the same spot for more than month. it usually goes away within couple days or week but these one came out a month ago still there on my face~! I am directly apply on those spot morning and night. would this be enough? Yes, in fact that should be more than enough. I would also apply a serum to protect your pores and keep junk out. It will also help with scarring. Hi Kylie, I have a son that is 15 years old and has been dealing with terrible acne since he was 12. I have tried almost everything under the sun to help him. I recently bought Desert Essence Tea Tree Oil Soap for him to use. He has been using it for 2 weeks now. So far, it seems that he is getting more whiteheads coming to the surface on his face, chest and back. Is that suppose to be happening? Or is it a bad thing? Should I stop him from using the soap? Your advice would be most helpful. Often there is a transition period when you start using different types of products.. I get whiteheads when I try new products sometimes but they only last a few days. My advice is to drink lots of water, don’t pick, and give it a couple more weeks. Please stop back and let us know how it goes! Hi, I’m not sure if you got my last comment but I was wondering how many times a week do you put tea tree oil on your face and you also put it mornings and nights? Thanks so much for posting this blog it was really helpful. Hey! When I’m clearing up my skin I use it daily each morning. You can use it at night but tea tree oil has stimulating aromatherapy properties so it might keep you up…! Hi! I just stopped using BP and I am having a really bad breakout, so I ordered tto and I tried spot treatment and it worked, however, do you recommend anything for the whole face? Also how long did it take before the tto worked? I tried the yogurt with tto and it was quite soothing! Any help would be great, thanks! I use tea tree oil in a mixture of warm water and put a small hand towel or face cleaning pad in it and massage my face with it. It works great. Hello, can I use 100% tea tree oil and vitamin e oil to cure the white head breakouts on my face? Hi, I’m struggling with acne like crazy, and I can’t seem to find any of those brands from above at my local stores. Is it still okay to use lesser known brands (such as Cococare, the only one that is available at my store) if it’s said that it’s 100% Tea Tree Oil? Great article! Tea tree oil is probably my favourite natural acne remedy, took me a long time to discover tea tree oil as I though that putting oil on my oily skin would be counter productive. How wrong I was! I absolutely love tea tree oil. I use it in my OCM and then occasionally if I get any crazy break outs. This is an excellent article about using Tea Tree oil. My son and I lived on a yacht in Fiji and the South Pacific for awhile. I “knew” I needed to take some medicinal things with us when we headed there and tea tree was one of those I felt I should bring. While we were gone, my son got chicken pox. Between the antibacterial cleanser I also had and the tea tree, after one cleansing and tea tree application, all the itching stopped – and never came back. Things started to immediately heal. Tea Tree is quite strong and its a bit too much for me personally. But, its definitely a medicine chest in a bottle and I take some everywhere – because you just never know when you might need it. My son is now dealing with acne. We will definitely try your suggestions. Thanks again! I’ve had problems with cystic acne for almost 20 years and tea tree has been my savior! I like to add it to coconut oil and scrub my face with that mixture and some baking soda. Works like a charm! I use tea tree oil from Nature Made from Walgreens to treat earaches, do you know if this brand is good quality for facial use? Thanks! I’m not familiar with their TTO, Alex, but I have used other products of theirs that were pure! Maybe someone here will chime in. Good luck! I just tried this and wow! I had great skin all until after I had my first baby, then over the last 9 years I’ve struggled with horrible cystic acne on my chin and jaw line. I thought it was my make up, my cleanser, my lip gloss, food and finally I just figured im stuck with it. Mine comes about every 3 months and when it comes it is bad. Deep, painful and huge. I tried many topical products and finally this is working. Thank you so much for sharing this! Truly a blessing. How often do you use #3 and #5? I would only exfoliate with it (#3) about once, maaaaaaaaaaaaybe twice per week. 1-3 times per week for the yogurt mask (#5) – much more gentle! What kind of regular moisturizer would you suggest? I have fairly sensitive skin and just can’t find something I like. And would love to find one and try adding some tea tree oil to it. Do you do the honey and yogurt with tea tree oil mask once a week or every night? Hi, im just starting to get cystic acne and never heard of essential oils. But i would really like to try this. Can i buy the oils from a local store or do they only sell them online? Can I put tea tree oil directly on my acne? And also, I’m starting to scar from the acne. Do you know what’s a good natural scar remover/ moisturizer. Thanks karissa! Hi Karissa! It is better to use it with a carrier oil. I like to use jojoba oil – you can make a serum of 1 ounce of jojoba oil and 30 drops of Tea Tree Oil for a 5% dilution – that’s perfect. This serum would help with the scarring as well. Thanks so much Kylie! I’m so happy I emailed you before putting the tea tree oil directly on my affected area. I’ll make the mask. Hi Kylie! I love TTO! I actually use a shampoo with it and leaves my scalp nice and calm since it was always so itchy! I have a routine of putting extra virgin olive oil with lavender to wash my face and take off any makeup and then wipe it off with a small warm damp towel. I then put on my moisturizer which consists of coconut oil with vitamin e and lavender and just recently added a few drops of tea tree oil. I just made a serum of jojoba oil with tea tree, lavender, and rosemary putting 5 drops of each in 1 oz of jojoba oil. Should I put the serum after I moisturize or before? I also have a quick questions about the scrub and mask. How often should I use it? firstly i want to say fantastic job on your blog! And i wantedto ask how often do you do oil cleansing? Like daily, morning and night or just once daily? And can u tell me what oils do u use for OCM and if u use diferent blends depending on the condition of your skin or just the same blend every time? Thank you for the recipes that you had shared with use. I bought some the oil for acne from you, can’t wIt to try it. I been suffering from back acne and face some on my face. I been used a lot of chemical products noting worked on me. Now I decided to use the home remedies, hope it will work at least it won’t damage my skin. I want to try the body scrub for acne with tea tree oil that you shared but I’m not sure what kind of sesame oil should I use ? Is it the one for cooking or different kind of sesame oil ? Hope you can let know me, so I can try the tea tree body scrub. Hi! You mentioned 5 ways to use tea tree oil for acne, but should I pick one of those or can I do all of them?? Hi! After seeing this post I bought some Tea Tree Oil and I have been putting some (about 3 drops) in a mild cleanser (Cetaphil). I was looking for something different other than Proactiv to help my acne. I mostly have it around my chin. It worked great for the first couple of days but now I am breaking out above my lip and around my chin in little pimples that have clear liquid in them. I feel like it is the Tea Tree Oil. Would you have any suggestions? Is there a cleansing period that I should expect after switching to this? How long does it usually last? Thanks so much! Passing this along to my friends with teenagers. Hey-good post and I’m glad you recommend diluting oils, but I would like to say that I would not recommend diluting with water alone since water and oil don’t mix, so you can’t really use it as a dilution option. The oil will absorb into your skin separate from the water. If you use it with water, you should dilute it with a carrier oil prior to adding it to the spray or bath. I have acne prone skin. I’ve been using tea tree oil and I have seen a lot of improvement! I use this at night on infected area and the next morning the pimple shrinks and disappears. My skin deals well with 100% tea tree oil on my face it doesn’t make it dry. Can I add 2 dropson muy fingertips and lather con my nose IN THE MORNING? I don’t want to have problems with the sun causing irritation and I don’t know if it will. I was looking into the Tea Tree acne serum and didn’t quite understand how to use it. Do you just rub it in after you’ve washed your face? Or are you using it in addition to whatever you’re using to wash your face? What kind of toner should I be using with this?